Many thanks to Estee Lauder Malaysia for having me at the private launching of their first beauty concept store in Penang. 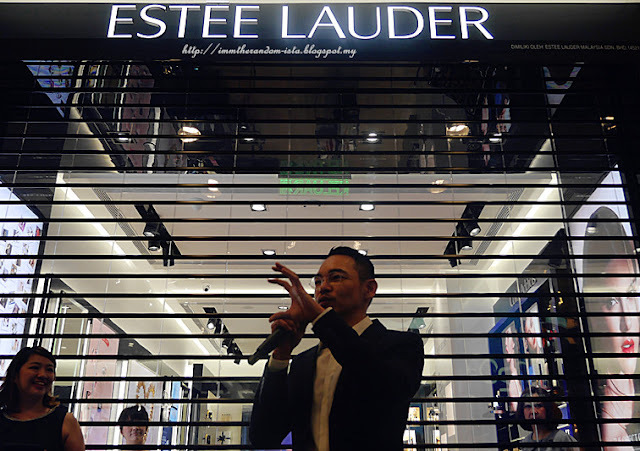 The event was held on the 1st of April at Unit 170-G-19, Ground Floor, Gurney Plaza, Persiaran Gurney, Penang and the General Manager of Estee Lauder Malaysia, Desmond Teh kickstarted the event with his welcoming speech. 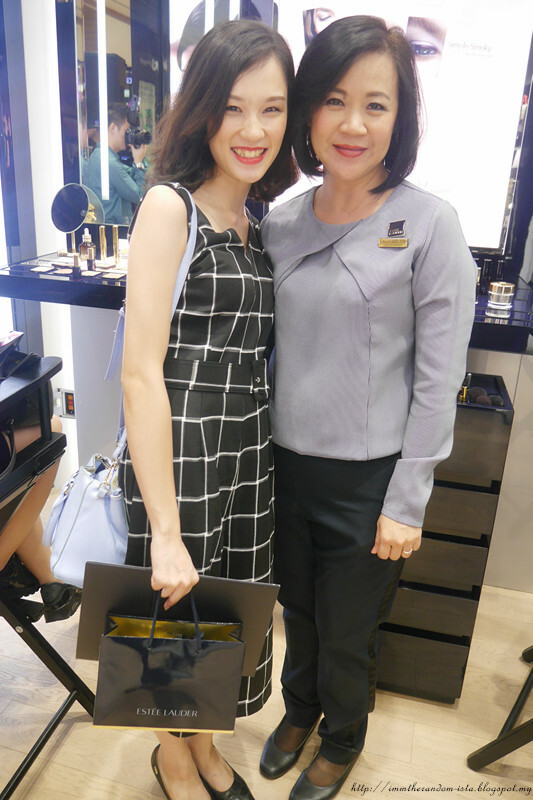 The emcee of the day also gave us a store tour, introducing their wide array of skincare and makeup line. 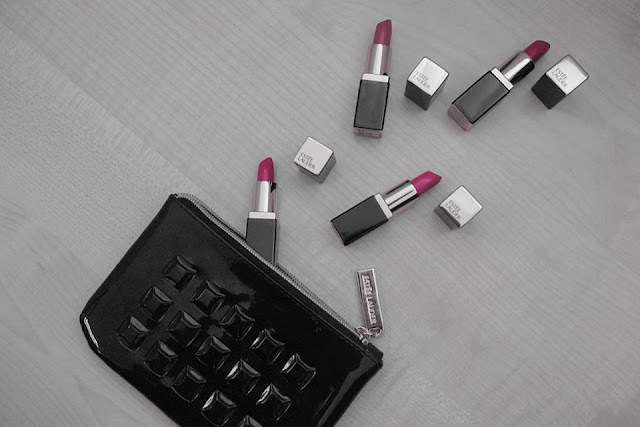 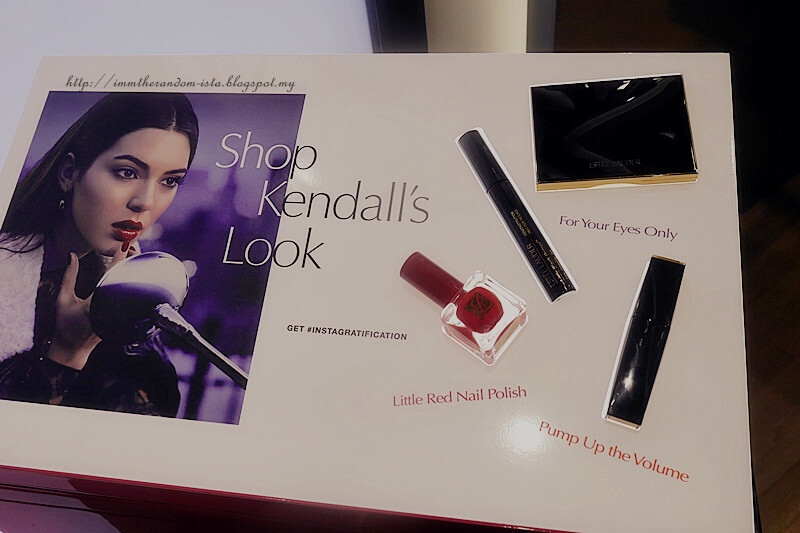 Current 'it' girl and Estee Lauder spokesmodel Kendall Jenner will surely inspire you at her 'Kendall's Corner' with her style. 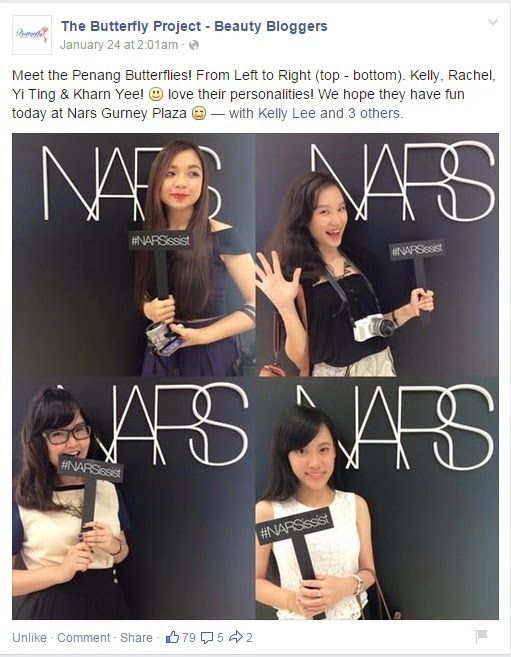 For those who are seeking for beauty inspirations, you can check out her beauty favourites displayed there. Apart from that, we were also introduced to their signature ‘3 Minute Beauty Makeup Bar’ which is a corner set up for the Beauty Advisors of Estee Lauder to teach simple and effective makeup tricks to look beautiful. 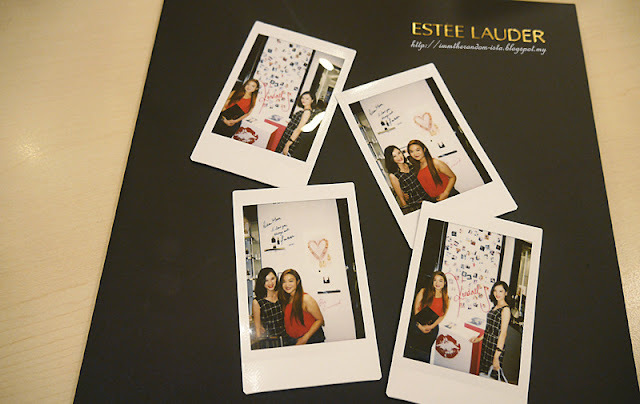 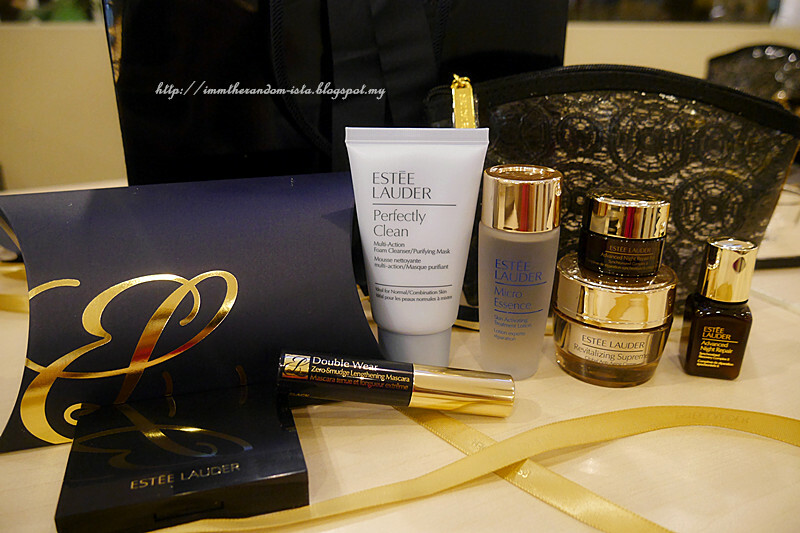 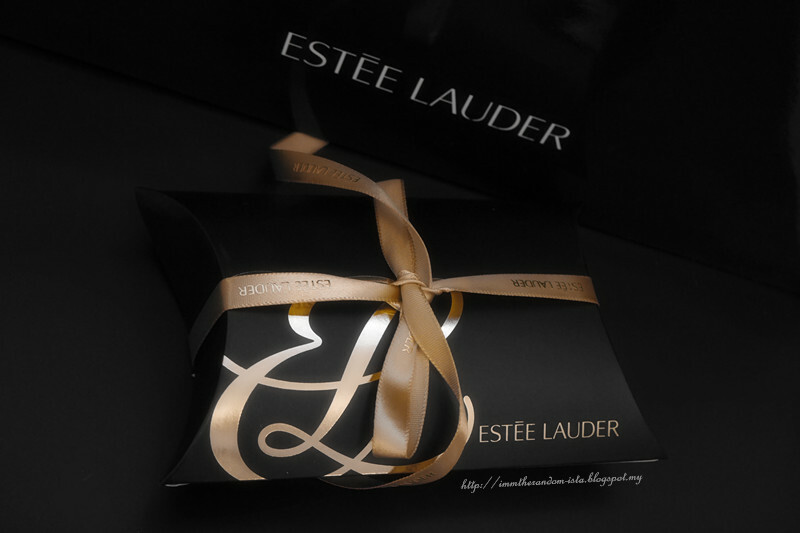 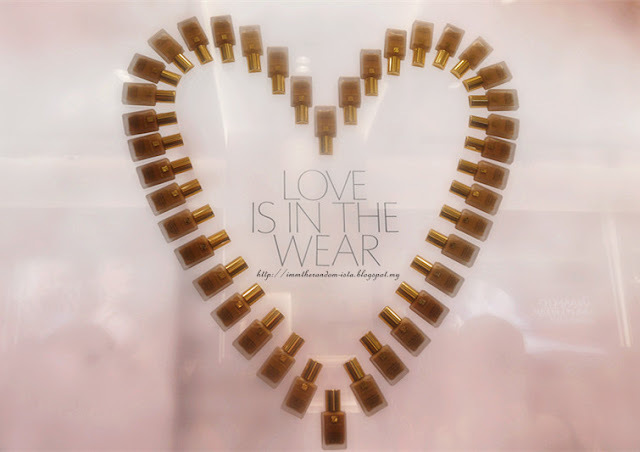 This service was demonstrated during the launch by Joyce Lee, Chief Makeup Artist of Estee Lauder Malaysia. 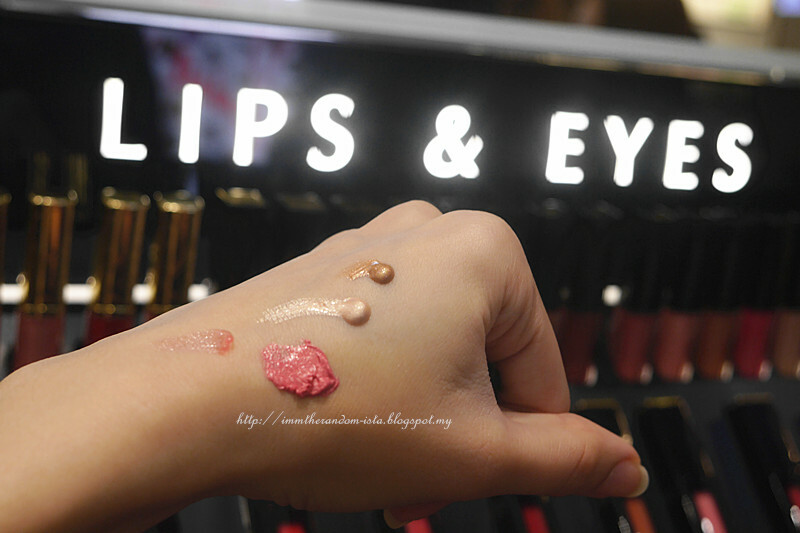 Since the key to creating a makeup starts from having a perfect canvas, the store also offers skincare essentials at their 'Glow On' section. One could always talk to the beauty advisors to get complimentary skin consultations to analyse their personal needs. For those who prefer using higher performance skincare range could check out their Estee Lauder Re-Nutriv Range which are of the more towards luxurious offerings. 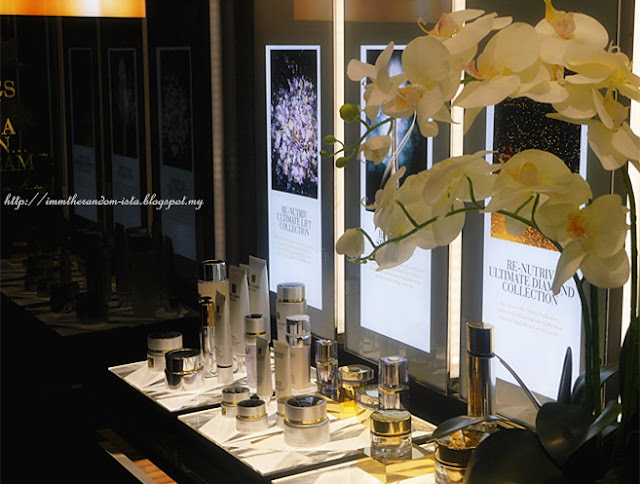 Not forgetting to head over to the 'Perfume Bar' for a finishing touch after effortless primping, variety of Estee Lauder fragrances displayed could be readily spritz to amplify your personality. 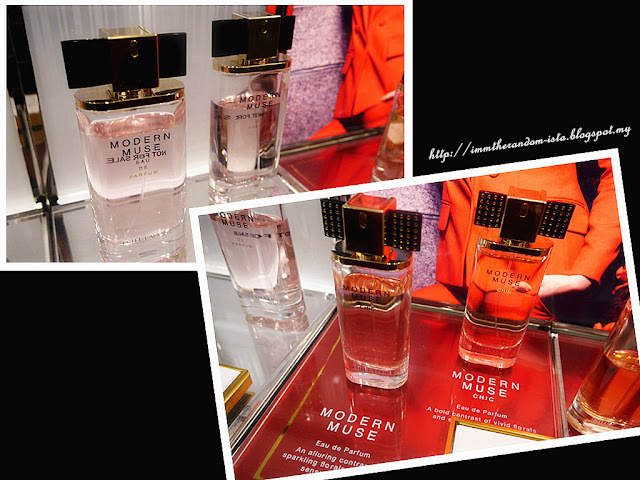 My personal favourite scent goes to their Modern Muse Eau de Parfum Spray. Do try it on if you are one who enjoys florals and woody scent. 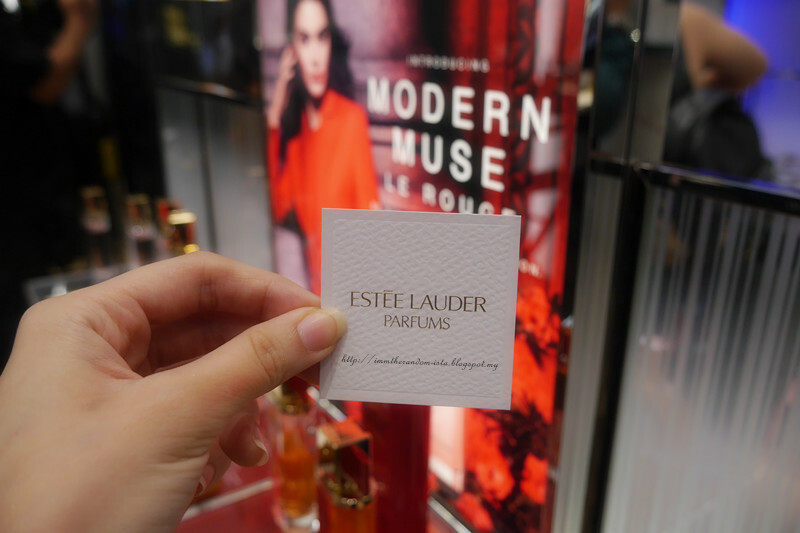 As EsteeLauder introduces we were given the opportunity to test out their Genuine Glow products which are mainly a hybrid skincare and makeup collection. 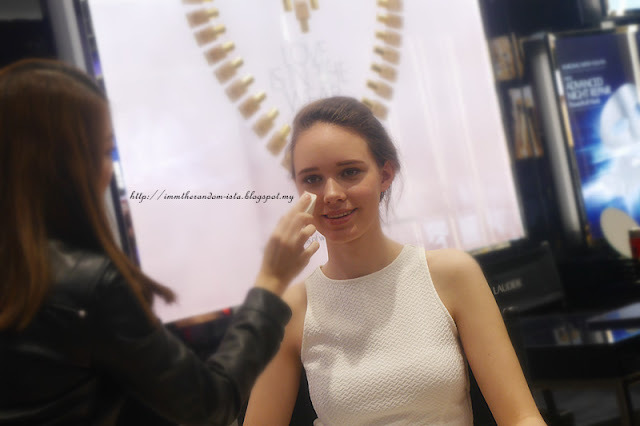 During beauty play , strobing was one of technique emphasized by the professional makeup artist to us. 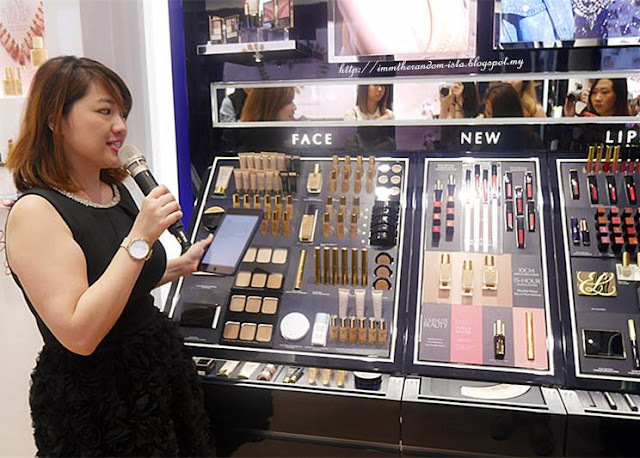 It basically involves finding where the natural light hits, which usually will be on the high points of the cheeks, nose, chin and area above the eyebrow. Then, relying on products that have shimmery properties and glowy effect, which one of the most prominent example will be the highlighter, apply it with the strobing method for a natural finished. 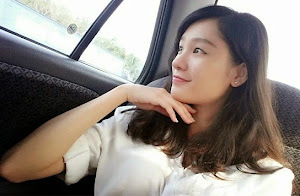 Credits to Cally for my makeover. 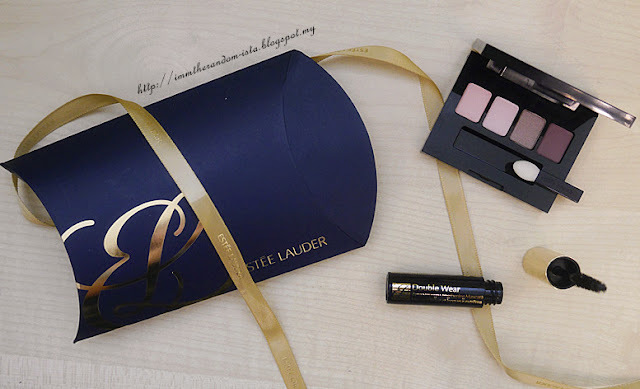 Miniature eyeshadow palette and mascara which I will be reviewing in my next post.